Closing on the first century from our beginnings as the Broadmoor Art Academy in 1919, the yearlong 100th anniversary celebration will honor the rich cultural history of the region and the people and events that brought us to today. A time and place where we can dream big and inspire people to create, connect with, experience, and celebrate the arts in its many forms — visual, performing, and arts education. Through the years, we have seen much transition and growth, most recently expanding our mission to become an integral part of the academic enrichment of the Colorado College community. As we commemorate our centennial throughout 2019 and kick off our next 100 years, we invite you to be a part of honoring the rich past with us, celebrating the delights of the present, and imagining the possibilities for the exciting future ahead. Thank you to the 1919 Society for supporting our yearlong specialty programming! A series of exhibitions focused on the mission, vision, and history of the Broadmoor Art Academy and the Fine Arts Center. A full schedule of exhibitions can be found here. From the earliest days, the Broadmoor Art Academy offered class instruction in the dramatic and music arts and served as the home of the Colorado Springs chapter of the national Drama League, later to be known as The Academy Players. 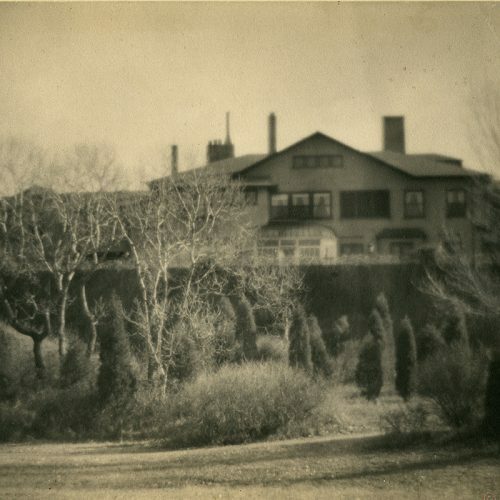 In homage to The Academy Players of the BAA, the FAC Theatre Company will perform special one-act play readings in the museum galleries on the following Museum Free Days at 1 and 3 p.m.
Jan. 26 — presenting Suppressed Desires, by George Cram Cook and Susan Galspell, the first play performed by The Academy Players in 1919. March 9 — presenting Trifles, by Susan Glaspell, written in 1916. May 11 — presenting Aria Da Capo by Edna St. Vincent Millay, written in 1920. A full schedule of FAC theatre performances can be found here. 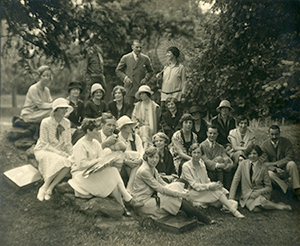 Through 2019, the FAC’s Bemis School of Art will mount classes in printmaking, lithography, en plein air painting, and other related mediums in celebration of the art and artists whose work here during the BAA’s heyday contributed significantly to artistic traditions of the era. Excursions to the Birger Sandzén Memorial Gallery in Kansas and the desert vistas of Taos, New Mexico will also immerse workshop participants in painting instruction reminiscent of the academicians of the Broadmoor Art Academy. A full schedule of classes can be found here. Already a member? We can add a year to your current membership at the Medallion Club level! Mark your calendars and celebrate with us! Join us for a special 100th anniversary themed First Friday Art Party at the FAC from 5-7:30 p.m.
It’s the perfect occasion to take stock of the great things the FAC has seen over the past 100 years, and raise a glass to the future. Spark inspiration at an art class! Friday Newscast 1/25/19 5:32 p.m.
Friday Newscast, 1/25/19 7:04 a.m.
Spencer and Julie Penrose donate their residence at 30 West Dale Street to the Broadmoor Art Academy (incorporated on Oct. 15). Under the direction of nationally known artists John F. Carlson (landscape) and Robert Reid (portraiture), BAA classes begin in the summer. 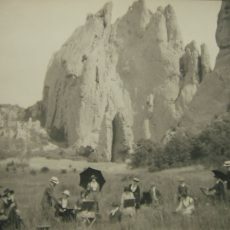 Students, enrolled from around the country, can be found painting en plein air at Garden of the Gods. The BAA trains World War I veterans in the vocational skills to make a living with graphic design and commercial art as part of a governmental contract from 1921-23. The BAA formally contracts with Colorado College to serve as the Art Department of the college. Former instructor at the Art Students League in New York City, acclaimed illustrator, cartoonist, and muralist, Boardman Robinson, becomes instructor at (and later head of) the BAA, increasing the school’s national prominence. Local philanthropist and art collector Alice Bemis Taylor expresses interest in building a small museum for her collection of Native American, Hispanic, and Spanish Colonial art of the Southwest. Julie Penrose, Elizabeth Sage Hare, and Boardman Robinson convince the BAA Board and Alice Bemis Taylor of a bigger idea. The BAA Board of Trustees approves acclaimed architect John Gaw Meem’s design plans for a new, cutting-edge arts center that would weave elements of Pueblo structures and Native American iconography with modern Art Deco styles into a grand building that would later earn architectural awards and a spot on the National Register of Historic Places. The Broadmoor Art Academy officially changes its name to the Colorado Springs Fine Arts Center, in light of the grand vision for a formal, multi-disciplinary facility. The Fine Arts Center opens with a week of grand festivities, attended by 5,000 patrons, including some of the biggest names in art. The galleries feature Alice Bemis Taylor’s Southwestern Collection and an exhibition of paintings by modern and contemporary giants Paul Cézanne, Pierre-Auguste Renoir, Henri Matisse, Pablo Picasso, Georges Braque, Fernand Leger, and Vincent Van Gogh. The Drama Club performed This Thing Called Love. Renowned African-American poet Langston Hughes presents a reading of his works at the FAC. Eminent architect Frank Lloyd Wright delivers the keynote address at the “Conference on the Fine Arts” at the FAC. Renowned modern artist Yasuo Kuniyoshi serves as a visiting artist at the FAC School. The FAC becomes a safe-keeping repository for art treasures from the Phillips Collection in Washington D.C., the San Diego Fine Arts Society, and the Harriet Levy collection in San Francisco for fear of air raids, including works by Picasso, Cézanne, Daumier, and Goya. 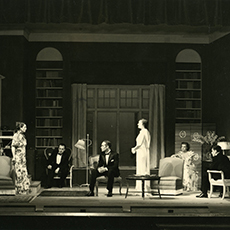 Following World War II, the Colorado Springs Drama League changes its name to the Colorado Springs Civic Theatre and re-kindles renewed excitement and support for live theatre in the community through its successful productions in the FAC theatre. The exhibition, Pre-Columbian Art of Western Mexico, which includes material never-before seen outside of Mexico draws national attention. Franco-American Jean Charlot, who was instrumental in the Mexican muralist movement, becomes the head of the FAC School, teaching fresco painting. Former Grant Wood protégé and social-realist style muralist Edgar Britton begins a mural painting class at the FAC School. Following the War, regionalism and social realism declines in popularity. The FAC hires prominent abstract expressionists Emerson Woelffer and Robert Motherwell in response. The FAC charges an admission fee for the first time for the exhibition, Eighty Masterpieces of Gold. The fee was 25 cents. Fort Carson provides honor guards to protect the treasures while on view. The FAC acquires Fog Horns by Arthur Dove, which would come to be known as one of the FAC’s most renowned and historically important paintings in the collection. 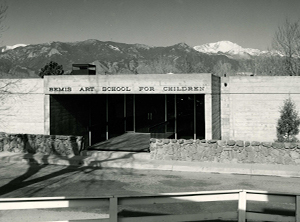 The Bemis Art School for Children is built as a stand-alone facility at the north of the main FAC building. The FAC acquires John Singer Sargent’s Portrait of Miss Elsie Palmer, a portrait of General Palmer’s daughter by the preeminent portrait artist of his day. An east wing addition is opened to accommodate program and staff expansion. The FAC PlayFactory debuts and begins bringing theatre experiences to thousands of children in parks and schoolyards across the Pikes Peak region. The FAC acquires two of its most popular and sought-after works: Urbana No. 4 by Richard Diebenkorn and John Wayne by Marisol. The Tactile Gallery, established by a committee of dedicated volunteers, opens to enrich the museum experience of every visitor — with special attention to those who are sight-impaired. The FAC is placed on the National Register of Historic Places. Eric Bransby, a former student of Boardman Robinson, restores and reinvigorates the Robinson murals on the FAC façade. Hollywood icon Jimmy Stewart, plus many Broadmoor Art Academy artists and students, attend a black-tie gala to support the major exhibition: Pikes Peak Vision: The Broadmoor Art Academy, 1919-1945. The Youth Repertory Theatre program debuts, offering a five-week conservatory-style training program for both aspiring performers and designers/technicians. An exhibition seven years in the making, Mountain, Family, Spirit: The Arts and Culture of the Ute Indians opens to the public. 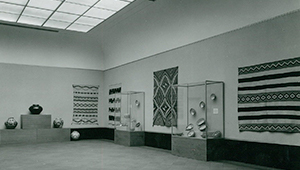 A collection consisting of 140 historic and 40 contemporary works chosen by a curatorial committee and the Southern Ute and Ute Mountain Ute tribes. The FAC commissions Dale Chihuly, the internationally acclaimed glass artist, to create a glass chandelier for the historic entrance lobby. The FAC MODERN opens at the Plaza of the Rockies, providing gallery space during construction of the Fine Arts Center expansion, hosting exhibitions by such notables as James McNeill Whistler and Annie Leibovitz. Architect David Owen Tryba’s renovation and expansion of the Fine Arts Center opens to the public. The FAC receives a gift of 50 works of art from New York collectors Dorothy and Herbert Vogel, as part of a national program entitled The Dorothy and Herbert Vogel Collection: Fifty Works for Fifty States. The FAC received works by Will Barnet, Adam Fuss, Michael Lucero, Sylvia Plimack Mangold, and Richard Tuttle. FAC’s Bemis School of Art launches Creative Military Expressions, an artistic healing course for soldiers returning home with brain injuries and/or post traumatic stress disorder. The FAC produces and presents a lifetime retrospective of Manitou Springs artist Floyd D. Tunson, Son of Pop, which receives national critical acclaim from art ltd. and ArtForum magazine before journeying to other prestigious institutions as a traveling exhibition. 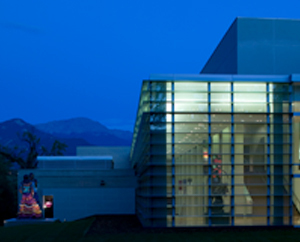 The FAC enters into an historic alliance with Colorado College and becomes the Colorado Springs Fine Arts Center at Colorado College. 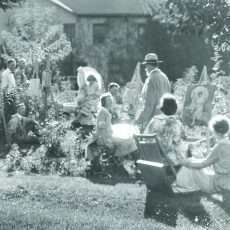 The FAC celebrates its 100th anniversary, from its beginnings as the Broadmoor Art Academy in 1919.